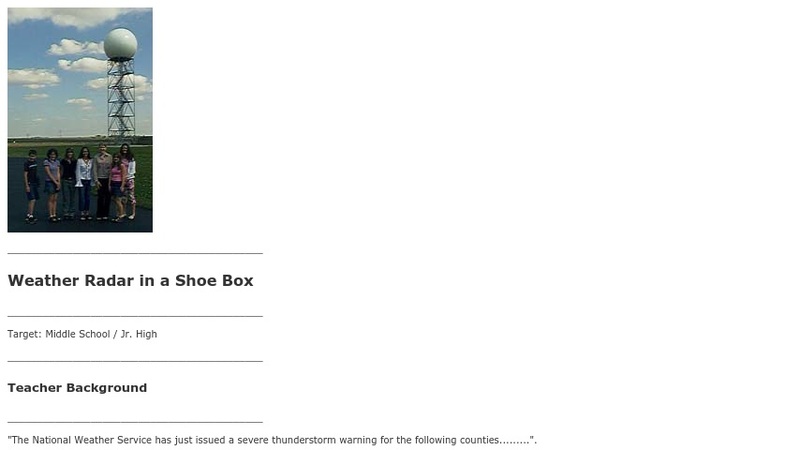 This middle/junior high school activity asks students to create a physical shoebox model to simulate the tracking of a storm by modern weather radar and to use the model to distinguish between areas of storm intensity and internal air circulation. Computer models from the Internet are available for those wishing to create images of the shoebox model data. The exercise is part of the Atmospheric Visualization Collection (AVC), which focuses on data from the Atmospheric Radiation Measurement (ARM) program.